Lattani’s parents passed away when he was very young, so his grandmother took care of him. However, due to his disability, his grandmother gave up his care and he was sold to human trafficker. 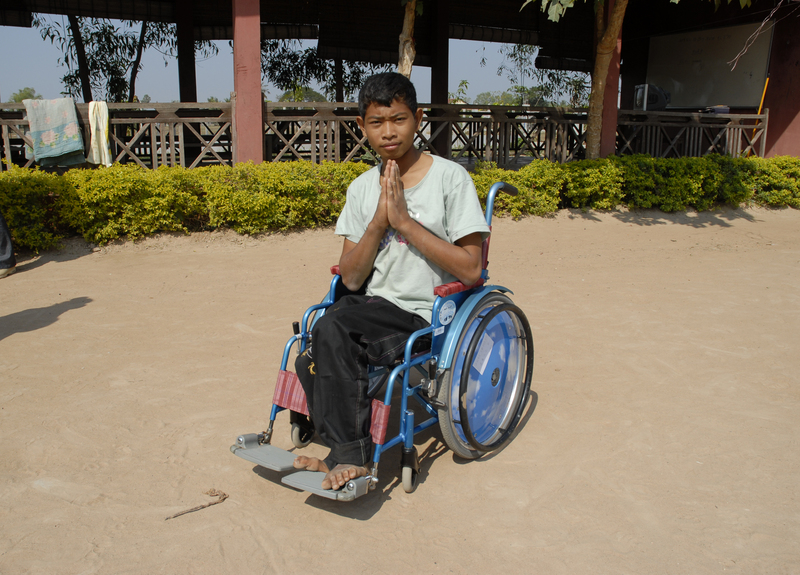 He suffered greatly and was forced to become a beggar in Thailand, to scrape together money for food. When he received the wheelchair, he was living in a center for children with no relatives (he had just started an elementary freshman at the age of 12). The wooden wheelchair he was using at that time was too heavy due to excessive work on a muddy road during the rainy season. He was overjoyed to received a new one from us that was light and easy to handle.